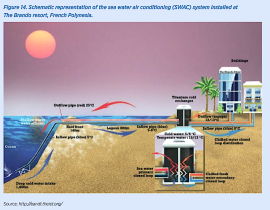 Turtle Beach Resort, Barbados, uses solar water heating. With the local tourist season ending this Labor Day, it’s time for a look at how renewables can benefit island tourism, which stays open year-round. 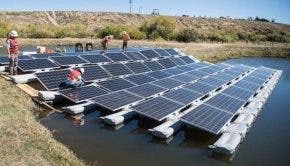 Island policy makers, private sector investors, international financial institutions, renewable energy companies, power utilities, operators of hotel chains, and tourism businesses all have something to gain from a new report on renewable energy solutions from the International Renewable Energy Agency (IRENA). Tourism often drives island economies, but the need to import costly petroleum products, notably diesel, can reduce financial gains. Energy supply in the form of air conditioning, water heating, lighting, and other hotel needs is a critically important component of the resort experience. Both the environmental impacts of fossil-fuel use and the volatility of oil prices mean that tourism-based economies must sometimes operate on a financial roller-coaster. 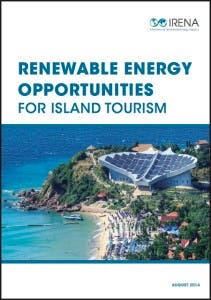 Renewable energy technologies can strengthen sustainable development and marketing strategies in the island tourism sector, reduce its operating costs, and lower its environmental footprint. The latter factor benefits both island residents and the growing number of “ecotourists” who willingly pay a little extra to enjoy the more sustainable lifestyle. 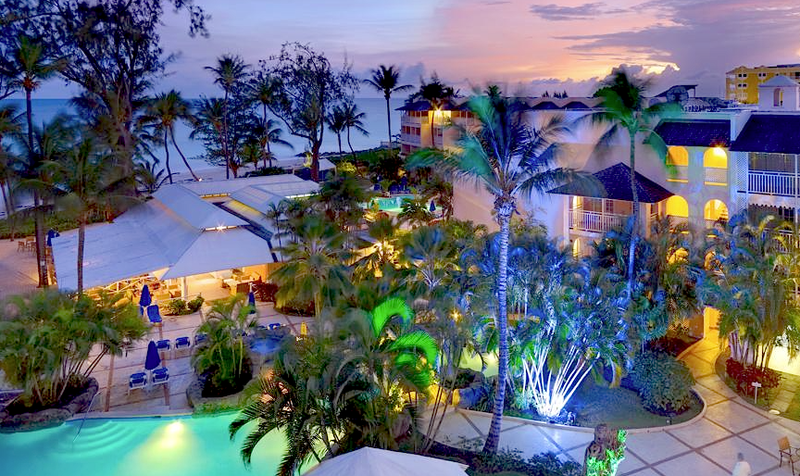 Turtle Beach Resort in Barbados saved $1.5 million over a 16-year period after installing a solar water heating system. Turtle Island Resort in Fiji is saving $250,000 annually with its PV system. Intercontinental Bora Bora Resort & Thalassso Spa in French Polynesia retrieves $720,000 in annual savings thanks to a seawater air conditioning system. Rethymno Village Hotel in Crete saves 70,000 kilowatt hours a year for cooling with its solar air conditioning system. 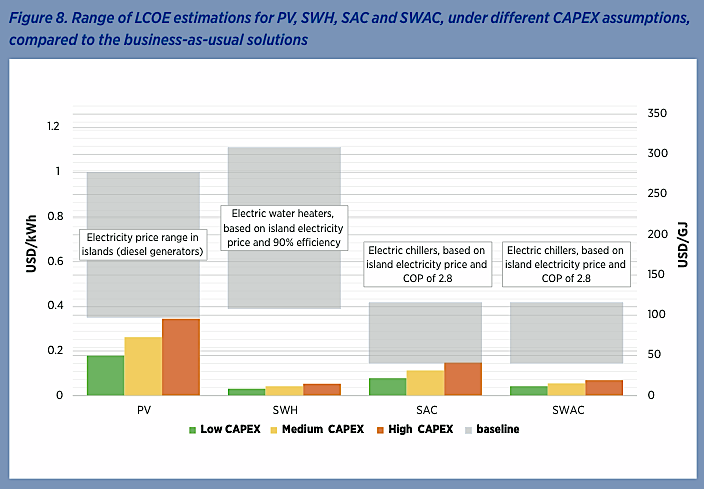 The analysis and the four case studies show that impressive benefits can accrue from installing renewable energy systems for island tourism. It’s a short report, but packed with information and food for thought. Useful tables, figures, and text boxes hammer home IRENA’s very important point. 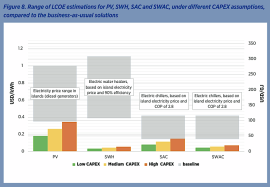 As well as increasing environmental benefits and increasing self-sufficiency, island renewables can reduce uncertainties and actually provide a marketing advantage.